Okay, I admit it. 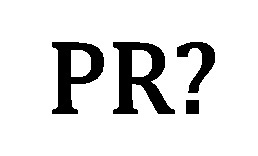 Being called a public relations practitioner, or PR, makes me cringe. And occasionally shout. And warn that naysayer, that doom-monger, that accuser, to never, ever call me a PR again. Apologies to all the PRs out there – you probably won’t like this blog post. Having unscientifically polled many friends who work in communications, they feel just the same. In fact I couldn’t find anyone that called themselves a PR these days. They are strategic communicators, or engagement managers or reputation managers or publicists, or any combination of the above. But not a PR, never a PR. “I don’t write press releases about the six diet tips to lose that Christmas-cake weight”, one practitioner complained. In fact, most told me they rarely proactively spoke to media at all. Apologies for those I have offended who do write diet tips, or plan stunts but I, for one, have never organised a stunt to attract media interest. I’d have no idea where to begin. Being a communicator is about addressing meaningful issues, and often reducing media attention not increasing media attention just for the sake of it. Yes, a communicator’s job is to defend protect their company’s reputation. But that means engagement, based on facts, not half-truths or spin. It involves talking to people, and listening to them not just publishing the information we choose. I have never met a communications person who lies for a living, and I doubt I ever will. Most of the communications people I know have years of experience, multiple degrees and other qualifications. They work in complex, detailed environments, where putting a foot wrong can have global impact very, very quickly. They do not lunch, drink champagne and discuss nail polish with half the frequency you’d expect. (If I said ‘never’ I think this would undermine my previous point). I guess this is the sum of all the above. Plus the fact that, still in the UK no Russell Group Universities offer PR degrees and relatively few practitioners hold qualifications. It’d be interesting to check whether PR has the same image problem in the US, where this isn’t the case. In many companies, I have been informed, HR, lawyers and Office Managers can do the company’s PR. I have had intelligent, otherwise-friendly people tell me frequently they could do my job. In public. Loudly. That, in itself, tells me they probably couldn’t. Why haven’t we fixed this? I’m kind of disappointed in us. As a profession. We should have fixed this by now. PR’s image problem is nothing new. We have been aware of this for at least the last decade [Geeky reference: ‘Has public relations become a term misunderstood beyond redemption, its use tarnishing not only those who practise it, or study it, but also those who purchase it.’ (Tilley: 2005, 1)]. Ok, we are all busy people, but still. Should we care about PR’s image problem? Is it too late? Should we just disown the ‘PR’ brand and all become ‘communicators’? Part of me thinks, yes. In my view, the industry is removing on and re-naming itself. Maybe that’s how we win the much-coveted place at the top table. Then again, isn’t PR’s poor brand image a horrible reflection on us as practitioners? Isn’t fixing image problems our job? How can you trust a communicator who can’t manage their own image? Maybe we should reclaim ownership of PR. Make it our new year’s resolution to come out of the PR closet loud and proud. If we spent as much time explaining what we do and its value as we do denying our brand how far could we move the bar in 2014? Kate Samuel is the Global Crisis Communications Manager for Hess, although she would like to point out, any views, offensive or otherwise in this piece are entirely her own. She has a background in Public Affairs and Government stakeholder engagement and a degree in History and Masters in International Relations. She has never, knowingly, written a piece of puff. You can connect with Kate on Twitter @kbsam81.